Hola Everyone! 2014 sees the start of a new series on my blog. 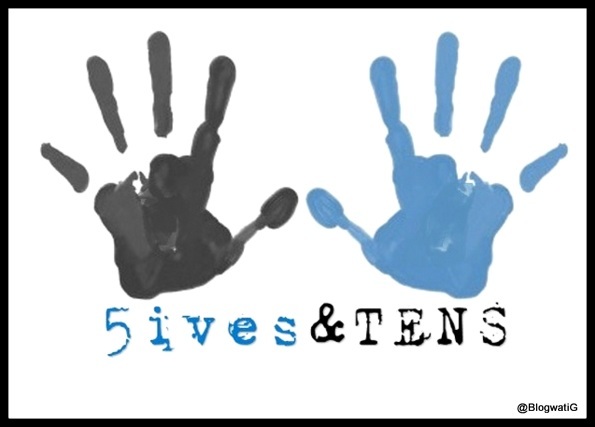 Twice a month, on every alternate Friday, we will have a post on ‘5ives & TENS’. A top 5 or 10 post on things that I love/like/dislike/hate or simply noticed. Could be anything from food I’ve eaten to cities I’ve travelled. Books I’ve cherished or services I’ve used. This is my personal countdown of life as I have lived. Care to share? Along the days of Ramanand Sagar’s Ramayan, there was Amar Chitra Katha. Mythology has never been told better. Right from celestial nymphs to divine beings, little known fables to well know figures, they had it all. We had the fortune of living in a large colony. And so, we’d exchange books freely. Those were the good ol’ days of a circulating library as well. Amar Chitra Katha was a parent approved comic that taught me much of what I know of Indian tales. I particularly adored the ones woven around royalty. Tinkle was an off shoot of Amar Chitra Katha. Full of fun and moralistic values too, it was a delight to read. Tales of Supandi the silly servant, Shikari Shambu the not so brave hunter, Tantri the Mantri trying forever to usurp the throne and Kalia the clever crow were sections I’d look for. Funny, after all these years the names came to mind instantly. who can forget the famous Uncle Pai and his trademark notes to kids. No wonder, thanks to all these wonderful memories, my cat is called TINKLE! Ah, the Ghost who walks with Hero, the horse and Devil, the wolf took me across many adventures. In midst of the jungle, he lived in a skull cave. Guran was his trusted aid and Diana Palmer was the love of his life. Whenever there was trouble, the drums would send out a message to him. And the Phantom would set out to restore peace and harmony. There was something about this masked man that kept us hooked on for hours. Mandrake the Magician by Lee Falk, created by the same author as that of the Phantom, was another favourite. He had hypnotic powers and boy. that made him so invincible. Along with a shiny hat and a red cape, Mandrake had a pencil thin mustache. His steely eyes were what held you captive. Lothar was his trusted aid and Xanadu was his advanced den. I thought both of them were pretty funky names back then. His escapades were a roller coaster ride. A snap of his fingers and he could make buildings disappear. I did try this vanishing trick on my parents. Clearly, they saw through it all. As we grew a tad bit older, Archies made way into our lives. Since these were imported and a tad bit on the expensive side, the library is where we found them. Archie, the nice guy, Veronica, the rich brat, and Betty, the girl next door had a love triangle. Funnily, Archie dated both of them. That’s when I learnt, a walk in the garden is a must prior to picking a rose or two :D. Reggie, the smart Alec, Jughead, the foodie and Moose, the big guy added the fun bits. I totally adored Ethel, but identify with Jughead the most! And who can forget Pop Tates, Mr. Weatherbee and Miss Grundy. Of course, there are many more memorable characters like Mr. Lodge, Midge, and Miss Beazley. These comics for us were the coming of age kinda books. They hung around, got into trouble, fought, hugged and kissed. We loved it all! I would hate to see Archie married to either Betty or Ronnie. I like it the way it is. Maybe it is time to pick another Archie’s Digest. Other honorable mentions would be Asterix and Obelix along with Tintin. However, these being in a different font and graphic than the regular comics, were not so much on my reading list. Once in a while, I’d skim through. So what comics did you read? Amar Chitra Katha was my favorite – I still read them when I get the time ! Another favorite was Target – The children magazine and champak ! Totally, Ruch. I loved ACK back then and even now, they intrigue me. Way better than some ‘serials’ in the garb of history! I agree with you that for Amar chitra katha is the best way of introducing mythology to the children. Loved reading tin tin, Asterix and Obelix and Archies. So happy it did, Bhavana. And now that you are taking a trip back home, maybe you can stock up on some of these gems. So happy you liked this one! How wonderful! As kids we were also strictly alowed to read Amar Chitra Katha only and nothing else. 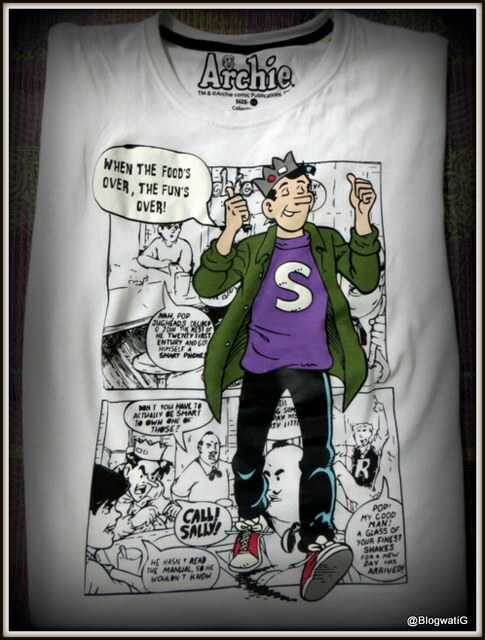 IT was only later when we were teenagers that we found our way to the Archies. Rainbow Hues recently posted…No Looking Back? True that, Kajal. And no matter how hard we tried, comics were always weeded out and a book was introduced. I am glad you liked this too! blogwatig recently posted…Happy ‘Knew’ Year! To this day, I find Shikari Shambu hilarious!!! I wasn’t all that into comics as a child, especially superhero ones, but I did enjoy the occasional Tinkle and Archie :-). Oh Shikhari Shambu and Suppandi were fantabulous. Comics were for those times when you were itching to read but did not have the time. Oooh! Nostalgia. All you mentioned were my favorites. Before Archies, I started with Richie Rich. Oh and I loved Asterix, Tintin (Blue blistering barnacles) and Bahadur too. Poornima recently posted…Books I enjoy with my three year old. Ah, I missed Richie Rich! But like I said, foreign comics were not so readily available back then. But read a few. Irona was my favourite! Ah, so nice to be reminded of the comic characters and their sidekicks from our bachpan ke suhane days!